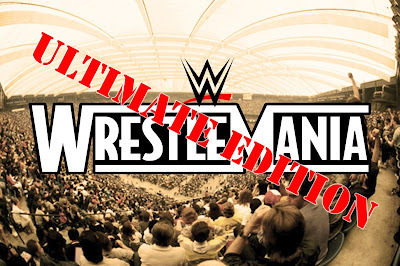 Welcome to a special Enuffa.com presentation - The Ultimate Dream WrestleMania! 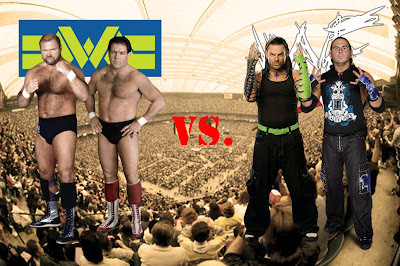 I've presented a few WWE vs. NJPW dream cards which can be read HERE, HERE, HERE and HERE, but I thought I'd put together an ultimate fantasy WrestleMania card using stars of the past and present, and including a bevy of dream matches we all wanted to see but never got to. The one self-imposed rule for this show was every match had to be something we'll never see in a wrestling ring (minus one partial exception in Part 2). Also for the purposes of this piece, assume every competitor is in his respective prime years. For a show of this magnitude, a) the only appropriate venue is The Pontiac Silverdome as it looked in 1987, and b) the lineup is so huge it would take place over two nights (and this column will be in two parts)! Nearly 100,000 fans would pack this majestic stadium (TWICE!) in anticipation of twenty of the greatest and most colossal bouts in the history of our sport (Thanks Tony!). At the commentary table is Good Ol' JR and Jesse Ventura, and the ring announcer is of course Howard Finkel. 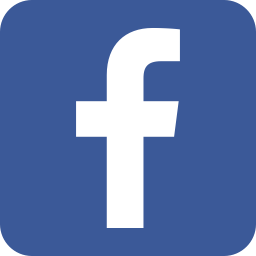 Let's take you to the action! 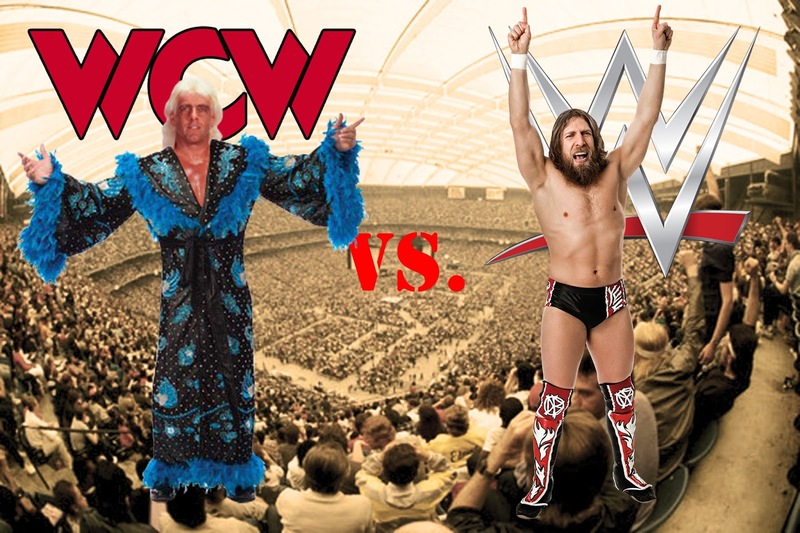 It's the quintessential flashy aerial babyface team vs. the rugged, no-frills veteran heels. The Hardy Boyz would dominate the early going with tandem offense and impossibly quick tags, keeping their slower opponents off-balance. But after several minutes Arn and Tully would find an underhanded tactic to turn the tide, isolating Jeff and working to destroy his legs. Jeff would fight valiantly, finally tagging in Matt, and all hell would break loose. After twelve minutes The Hardyz would hit the Twist of Fate/Swanton combo on Tully, but a distracted official would miss Arn coming off the top rope with an elbow on Jeff and rolling Tully on top of him. The sneak attack would be good for three. This power vs. power match would be succinct and intense. Luger would try to counter the Warrior's ferocity with a more measured approach, slowing the pace and working the back to soften it up for the Torture Rack. Warrior meanwhile would attempt to pummel Luger into oblivion and go for a quick finish. After eight minutes, Warrior would escape the Rack, bouncing off the ropes with a devastating flying tackle. Luger would regain his feet only to be leveled with a second, and a third. Luger would stumble back up and walk into a gorilla press/big splash combination, giving Warrior the duke. Possibly the two cagiest participants in this whole extravaganza are Mr. 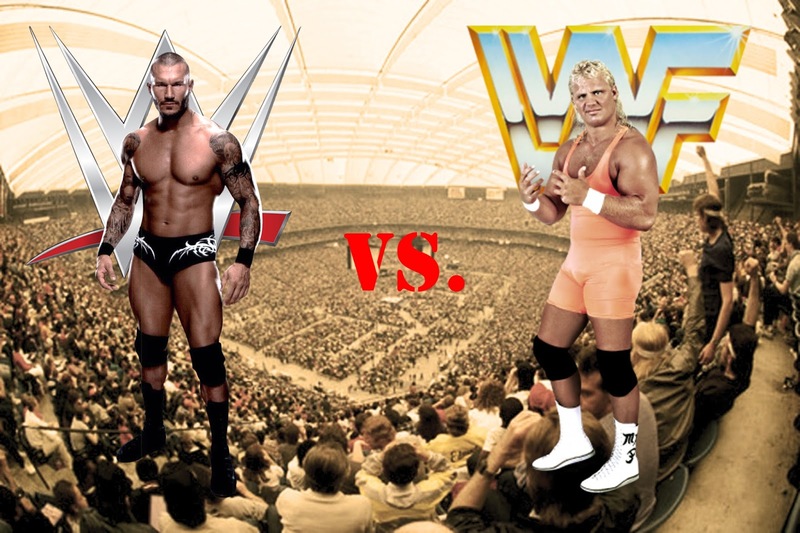 Perfect and "The Viper," both of whom would start this match very cautiously, each prepared for the other to use the most devious of maneuvers. Orton would find a break early on and work over Perfect's head and neck with his methodical, sadistic attack. Perfect would rally late in the match with a faster-paced assault. After eleven minutes Perfect would take advantage of a missed Orton dropkick and hook on the PerfectPlex, but Orton would knee him in the face with his free leg, twist his body, and level Perfect with a game-winning RKO Outta Nowhere! Here's a wild one. It's the man who popularized the Steel Cage match against the man he inspired to take high-risk wrestling to the next level. 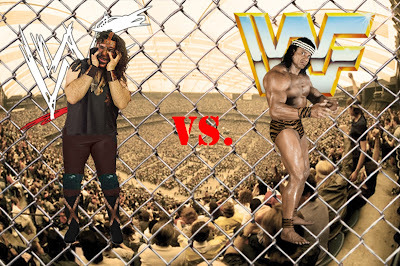 Snuka and Mankind would brutalize each other in epic fashion, drawing blood right from the outset. The cruelty on display would be palpable, and after a horrific ten minutes a blood-soaked Snuka would ascend the cage and dive off the top, only to eat canvas as Mankind rolled out of the way. "Mrs. Foley's baby boy" would then climb the cage himself and emulate his idol, crushing Snuka with an elbow smash off the top and taking the win. This match would be a breathtaking, balletic contest between two athletically gifted, natural babyfaces. Both men would play up their stunning movesets to the hilt, providing crisp, elegant action with high-flying maneuvers abound. 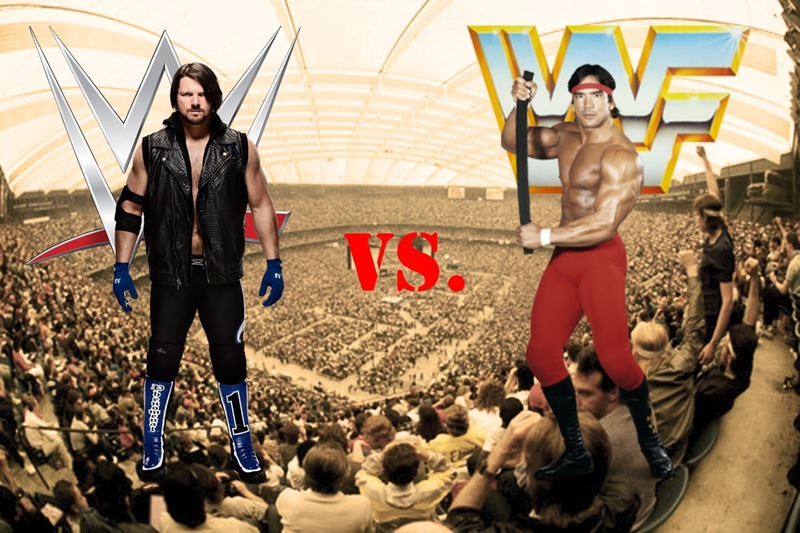 AJ would bring his explosive agility while Steamboat would showcase his aptitude for gracefully compelling in-ring drama. 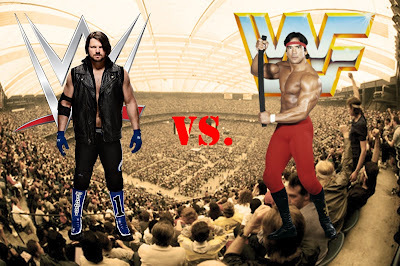 At the fourteen-minute mark, look for AJ to counter a Steamboat top-rope axehandle with a Pele kick, followed by the devastating Styles Clash for the win. This would be an absolute clinic, full of high-impact suplexes, slams, dropkicks and brilliant tandem offense. The crowd would be equally behind both babyface teams, content to sit back and enjoy the barrage of innovative tandem offense. 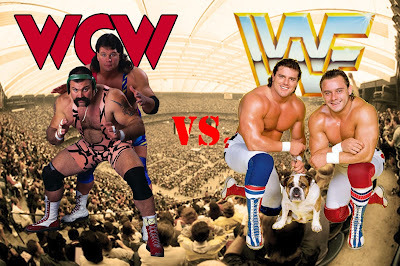 There would be no wasted motion in this match, the pace would be furious, and after thirteen minutes of wild action Rick would counteract Davey Boy's powerslam on Scott by nailing a top-rope bulldog for the pinfall. Our next bout features two of the most charismatic and temperamental stars of all time. The promos leading up to this match would be legendary, and the match itself would be even better. Savage and Punk would cut a blistering pace, punishing each other with strikes and dazzling the audience with reversals upon reversals. The finish would come at the nineteen-minute mark, when after failing to get the win with the top-rope elbow and the Anaconda Vice, Punk would hoist Savage up for the Go To Sleep, Savage would block the knee, spin Punk around and flatten him with a lariat before scaling the ropes and mashing Punk with his picture-perfect "Macho Man" elbow. It's power vs. power as two of the most dominant forces in wrestling history collide! This match would set a new bar for striking brutality and would be full of "hardway" cuts to the face. Vader would attempt to impose his will using his size advantage, but Lesnar's raw power would be the equalizer as he takes the behemoth to Suplex City. 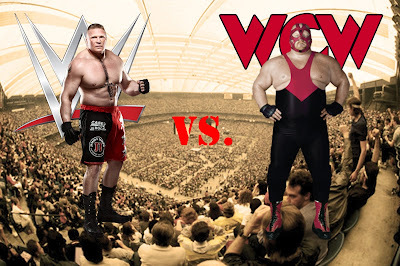 After a pulverizing sixteen minutes look for Lesnar to counter a Vader moonsault by catching the 450-pounder in mid-air and executing a debilitating F5 for the pin. "The Nature Boy" and "The Flying Goat" would put on a breathtaking display of mat grappling, spending the first several minutes jockeying for position and attempting to wear down the other. Bryan would control the early minutes until Flair used his wily heel tactics to gain an advantage, ultimately working a leg to set Bryan up for the Figure Four. Bryan would make several gallant comebacks, each of which would be cut off by a chop block or an eye poke. Flair would finally apply the Figure Four, which Bryan would eventually reverse, leading to a rope break. Reset and Flair continues to go after the leg, kicking away at it. Bryan twists, executes a single-leg takedown, and pounces on Flair's back with his old ROH finisher Cattle Mutilation! Flair fights the pain for a full two minutes before passing out, and Bryan is the winner after 23 minutes. Arguably the two greatest Champions in WW(W)(F)E history, Hogan and Bruno combined boast an astounding 17-years in Title reigns. Each was the consummate babyface of his era, and fought off dozens of old-fashioned heel challengers. In both cases when they lost their first Championship it was an appalling scene. 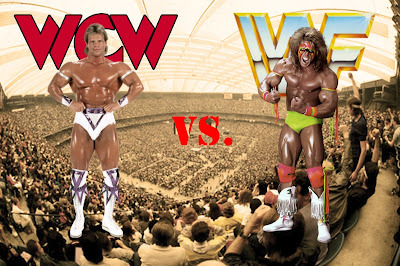 Now they face each other in a colossal spectacle of a main event. At the outset Hogan uses his size advantage to control the tempo, hammering Bruno with right hands. Bruno stays low, absorbing the punishment and working his way in close. Finally after several minutes he's able to throw Hogan to the mat and pound him with knee and elbow drops. Bruno works the back and eventually softens Hogan up for the dreaded bear hug. Hogan nearly passes out from the pain but manages to "Hulk up" at the last second. But Bruno is too clever to fall for it, rolling out of the ring until Hogan cools down. 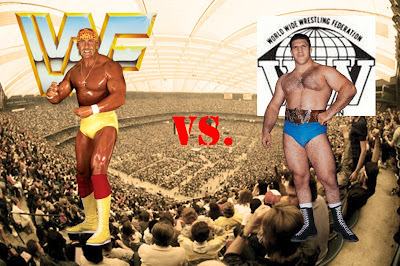 Hogan chases him back in and Bruno fells Hogan with a giant bodyslam, then picks Hogan up for a submission backbreaker. Hogan escapes, picks Bruno up, and squashes him in the corner. Hogan stumbles away as Bruno charges, but Hogan counters with a huge boot to the face and a quick legdrop at 14:31 for the 1-2-3! 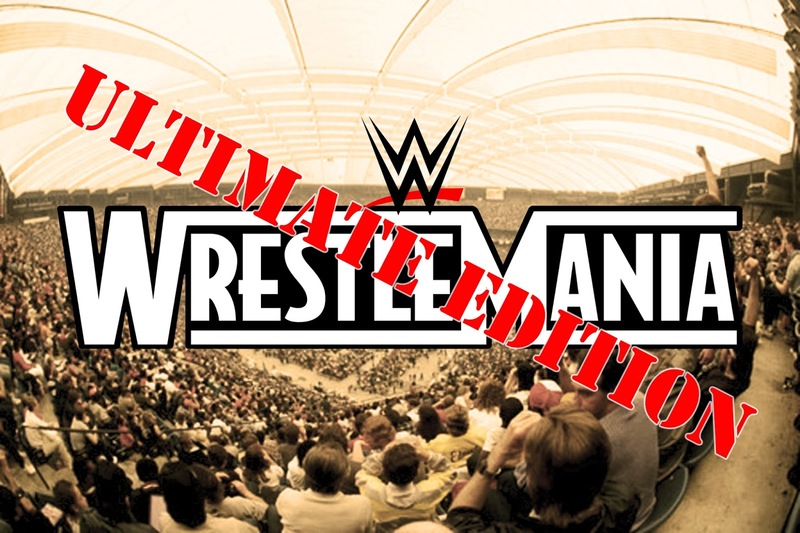 Thus concludes Night 1 of The Ultimate Dream WrestleMania! Stay tuned for Part 2 coming tomorrow!